Fight on and show your Trojan pride! 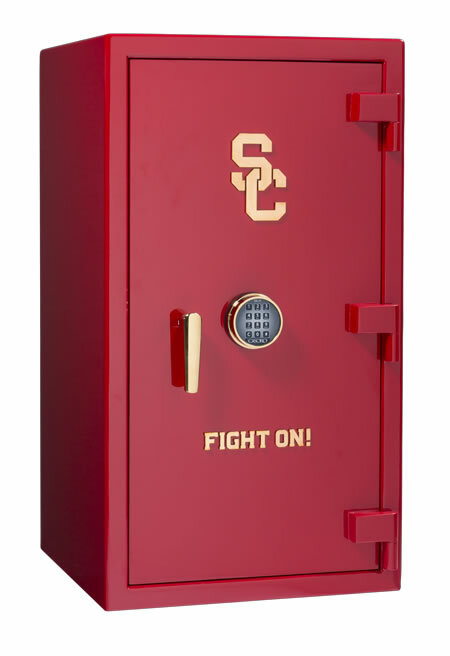 As an enthusiastic alumna of the University of Southern California, Casoro Jewelry Safes co-owner Nancy Bryan had the team create something special for her alma mater and fellow alumni. 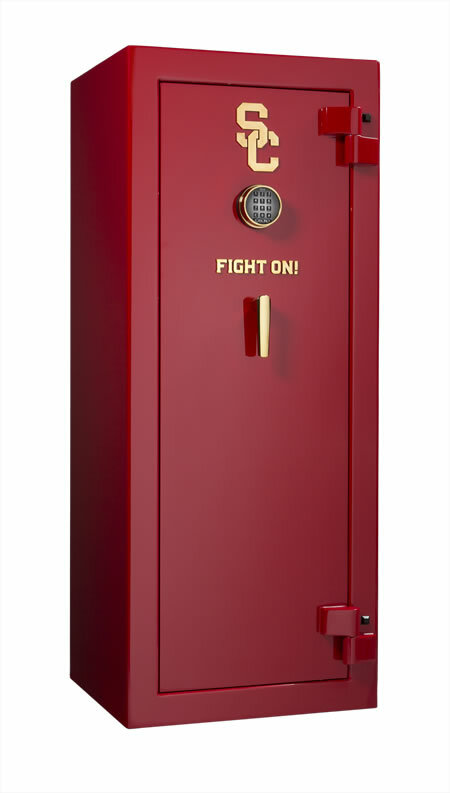 This safe provides industry-leading burglar and fire protection in striking SC cardinal and gold. 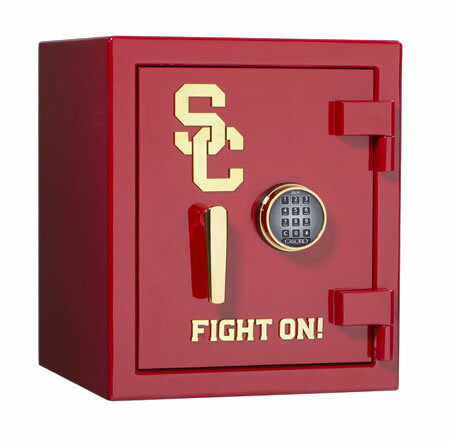 USC logos adorn both the exterior and interior of the safe. Inside are elegant microsuede lined drawers for your fine jewelry and watches. Consider watch winders for your automatic watches. 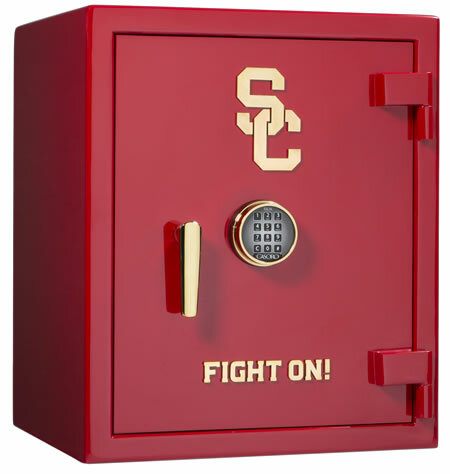 A portion of the revenue from each safe helps fund USC athletics and scholarships. Call for information about our lower cost USC Safe with general purpose shelves or gun interior, 800.538.0600. Also be sure to check out our other custom safe options.